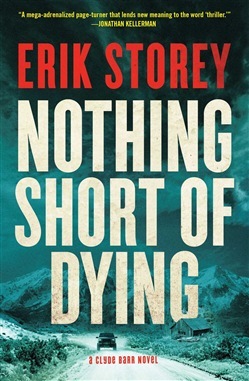 In the tradition of Lee Child’s Jack Reacher novels and featuring a lethal, ex-mercenary drifter who is most comfortable surviving in the wilderness and who puts his expertise to work racing against the clock to save his sister from a murderous meth kingpin, this “relentless thrill ride hurtles the reader into dark and interesting places” (Robert Ferrigno, New York Times bestselling author). Sixteen years. That’s how long Clyde Barr has been away from Colorado’s thick forests, alpine deserts, and craggy peaks, running from a past filled with haunting memories. But now he’s back, having roamed across three continents as a hunter, adventurer, soldier of fortune, and, most recently, unjustly imprisoned convict. And once again, his past is reaching out to claim him. By the light of a flickering campfire, Clyde receives a frantic phone call from his sister Jen. No sooner has she pleaded with him to come rescue her that the line goes dead. Clyde doesn’t know how much time he has, or where Jen is located, or why she needs rescuing. All he knows is that nothing short of dying will stop him from saving her. Joining Clyde in his against-all-odds quest is a young woman named Allie whose motivations for running this gauntlet are fascinatingly complex. As the duo races against the clock, it’s Allie who gets Clyde to see what he has become and what he can still be. Vivid with the hues and scents of Colorado’s backcountry, Nothing Short of Dying is, above all, “nothing short of brilliant. It grabs you from page one and simply doesn’t let go” (Jeffery Deaver, author of The Bone Collector). 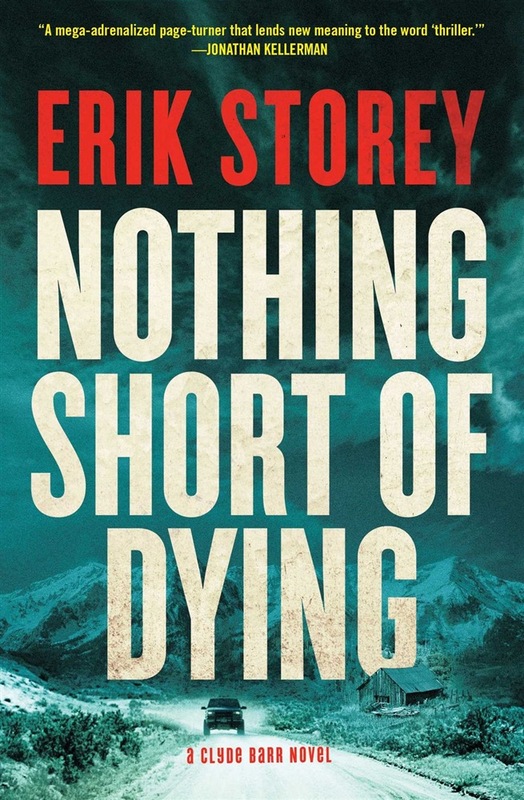 Acquista Nothing Short of Dying in Epub: dopo aver letto l’ebook Nothing Short of Dying di Erik Storey ti invitiamo a lasciarci una Recensione qui sotto: sarà utile agli utenti che non abbiano ancora letto questo libro e che vogliano avere delle opinioni altrui. L’opinione su di un libro è molto soggettiva e per questo leggere eventuali recensioni negative non ci dovrà frenare dall’acquisto, anzi dovrà spingerci ad acquistare il libro in fretta per poter dire la nostra ed eventualmente smentire quanto commentato da altri, contribuendo ad arricchire più possibile i commenti e dare sempre più spunti di confronto al pubblico online.